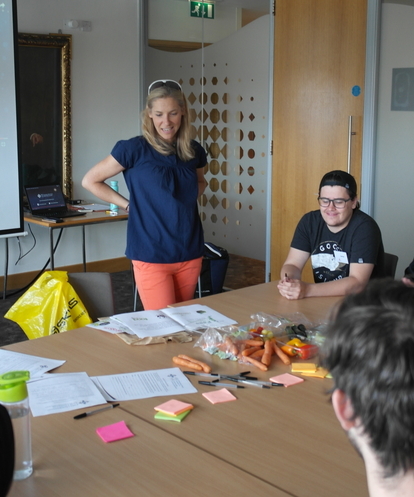 This week, Katie Palmer of Food Cardiff was invited to run a workshop for the UpRising programme in the Wales Millennium Centre in Cardiff. As part of UpRising’s Cardiff programme this year, Food Cardiff was invited to attend to talk about its pioneering work in developing the School Holiday Enrichment Programme, Food and Fun and how, even with small budgets, meaningful work can be undertaken and achievements made through collaborative partnerships across different organisations. Food and Fun is an award winning multi-agency programme to provide good quality meals, nutrition skills, sports education and enrichment activities to children living in areas of need in Wales. 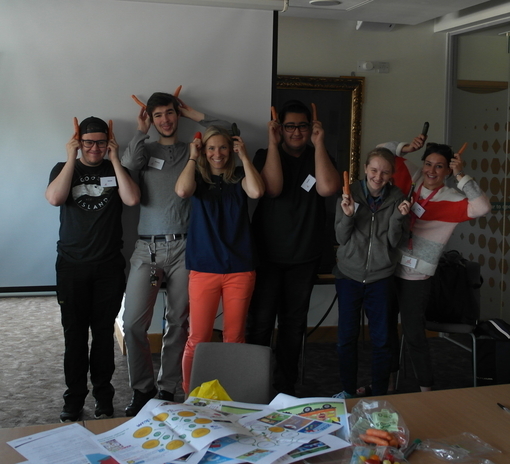 Food and Fun was spearheaded by Food Cardiff and Cardiff and Vale UHB’s Public Health Dietetics Team, Cardiff Council Education Catering and Sport Cardiff. The programme was initially piloted in Cardiff 2015 and was quickly recognised as a success, winning an NHS Wales Award in 2016. Following this, the programme gained the support and funding of, and is now overseen by, the Welsh Local Government Association. 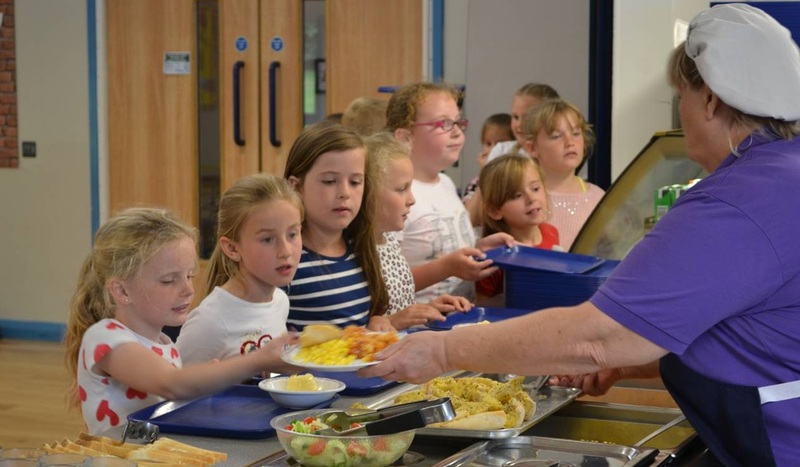 Food and Fun now operates in schools across Wales; over 1,500 children benefitted from the scheme last year and we anticipate that many will do so again this summer as 62 school nationwide will be served by the programme. Evaluation of Food and Fun showed that 45% of the children that attended said that they felt less hungry on a day they attended the programme compared with a day on which they did not. 99% of parents and carers said they thought that their children were benefitting from the scheme. Katie Palmer said, “We’re living in extremely challenging times at the moment in the UK and the reality is that because free school lunches and breakfasts stop over the summer, many parents or carers dread the holidays, often having to skip meals themselves to ensure that their children can eat. “Locally, we can’t directly control what happens in Westminster and how decisions there will affect our communities but by making local-level stories heard, we have made a difference in Wales and we have influenced national thinking as today the UK Department of Education announced that it will fund a similar programme in cities such as Birmingham, London and Leicester. Food and Fun speaks for itself; we have the responsibility to ensure that our country’s children have happy, healthy and stimulating holidays. “One fifth of people in Wales are worried about running out of food and food bank usage is increasing year on year across the UK. 35% of children who attended Food and Fun reported skipping at least one main meal on days they did not attend. Alongside providing food for the children who attend Food and Fun, the programme also offers educational sessions for parents and carers, delivered by school staff trained by dieticians, highlighting the importance of proper nutrition and hydration. 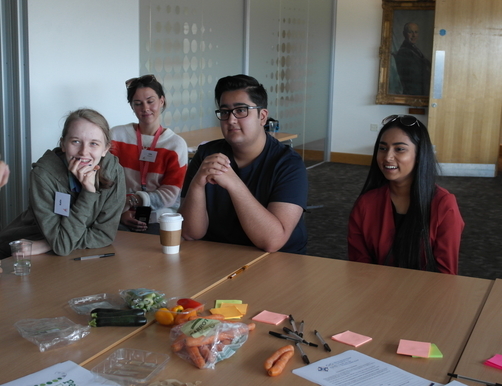 Emma Holmes, Clinical Lead for Public Health Dietetics, said, “One of the successes of Food and Fun is that it gives families something to take away with them in the form of cookery skills and better nutritional knowledge. 73% of parents and carers who attend the sessions reported that they learnt something totally new. The schools delivering Food and Fun are now using their training and resources during term time too.